Quality service and precision work are what you can expect at Dolphin Marine. We have fully trained and knowledgeable staff & service technicians prepared to help you with any of your marine needs. Our Friendly staff are here to help put you back on the water! Our service team consist of many years of experience within the marine maintenance industry. We have factory trained technicians with the knowledge to take care of your marine engine service or any repair that it may need. Diesel servicing & repair - We will travel to all Sunshine Coast marinas, homes or hardstand facilities to perform necessary repairs. 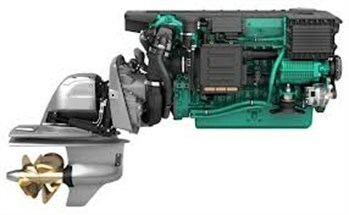 We are authorized Volvo Penta Dealers & we can carry out warranty work if needed. We will also work on most diesel brands. Inboard/Stern drive servicing & repairs - For all direct drive inboards, Mercruiser stern drives & Volvo Penta stern drives petrol or diesel, Dolphin Marine are able to take care any problem that may arise. 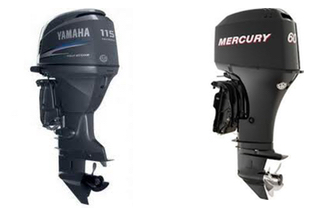 Outboard motors - We service all makes & models including Yamaha, Mercury, Suzuki, Honda, Johnson, Evinrude & Tohatsu outboard motors. 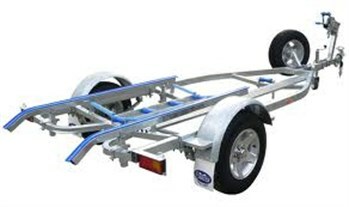 Trailer Repairs - If your current trailer is looking a little sad, let us give it a little love & maintenance that I'm sure it may need. Brakes, suspension, lighting, wheels & tires are all what we can bring up to scratch. Even if you trailer has rust issues, let has take a look to determine if it can be restored before you decide to scrap it. Boat fit out - Gps units, Marine radios, fish finders, Instruments, Steering systems, Boat rewiring, Fuel systems, rod holders, anchor winches, Navigation lights & anything else that you may need installed onto your boat. Fibreglass repair - Scuffs, chips, scrapes or impact damage can all be repaired. Let us give you a quote on your boat to bring it back to looking good again. Canopies & Covers - Add value & appeal by updating the look of your boat. We offer a range of bimini tops, from generic fit tops to custom fitted bimini tops, front & side clears, camper covers & full custom trailerable covers. Let us quote to have your boat updated with new covers. Detailing - Is your boat looking like it has been neglected? Bring it to Dolphin Marine today for an inspection & quote on what could be done to bring it back to life. We offer a full detailing service on any size boat. Please email us, give us a call or just stop by the shop. We will be glad to assist you with all of your questions and service needs.